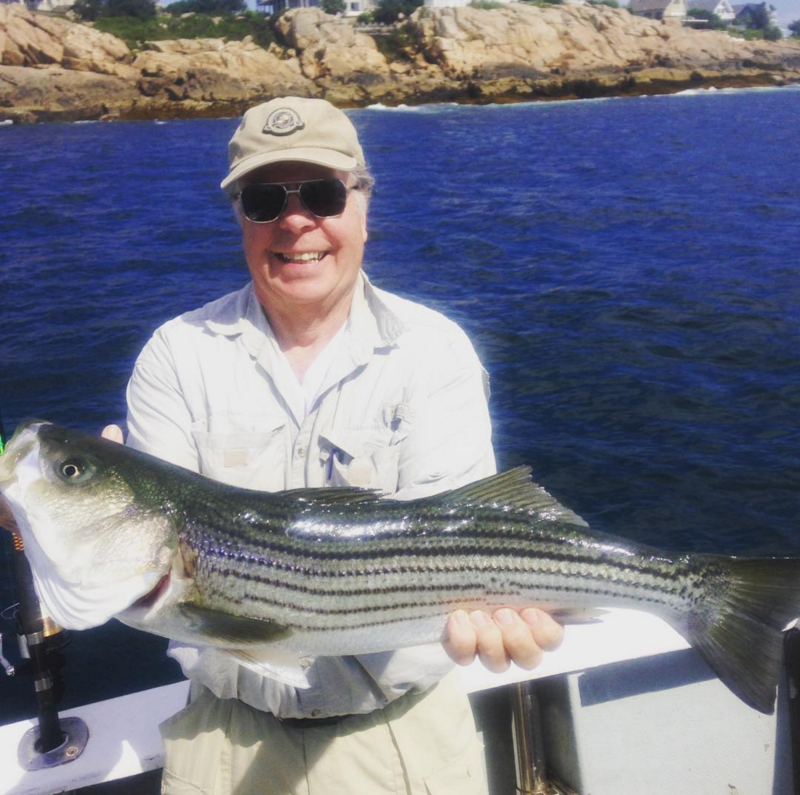 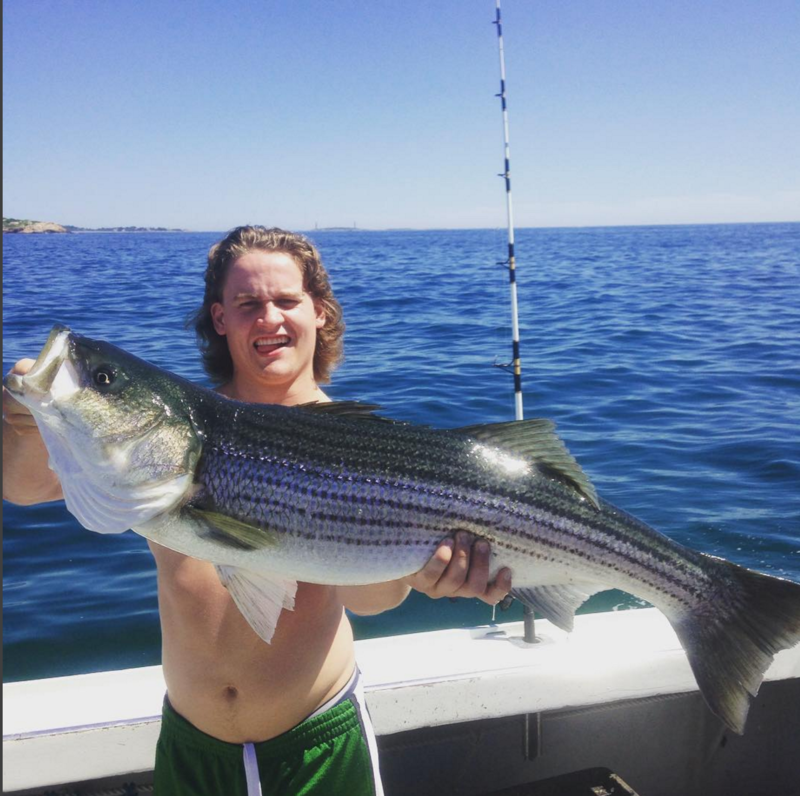 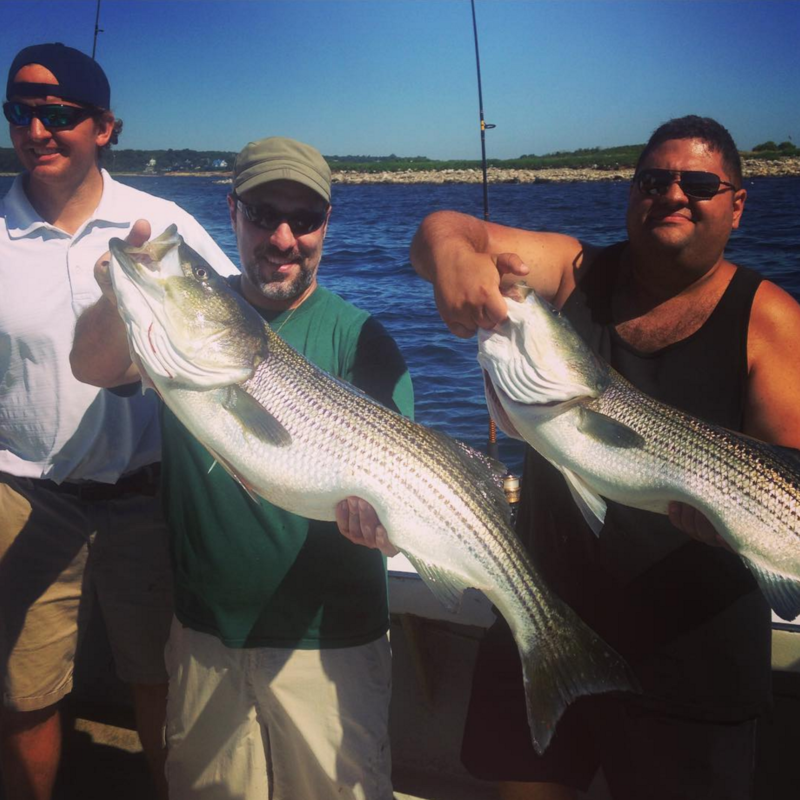 Striped Bass and Bluefish Charters can be half or full day trips (optional lobster tour included). We range from fishing up close to the shoreline and extend out to three miles. 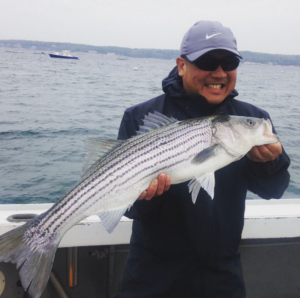 Stripers and Blues are midwater fish that run and will strip line off your reel. 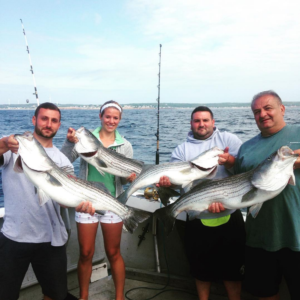 Full Day Charter $975 Half Day Charter 600$ * Optional Lobster tour last hour included in price. Extremely Family friendly. 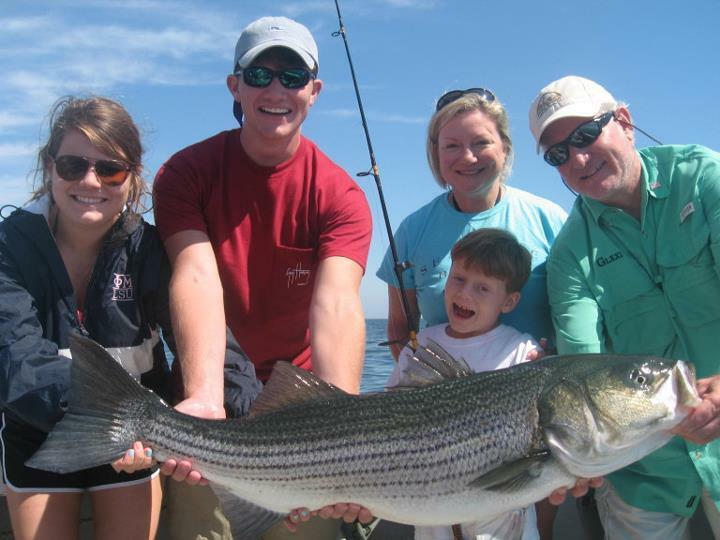 We recommend this fishing charter for young children. 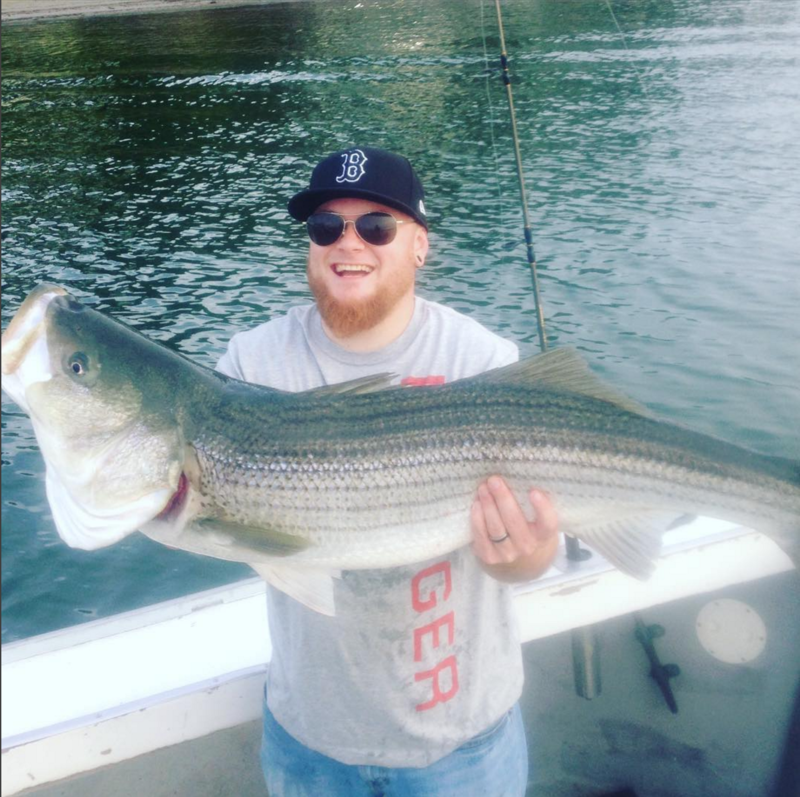 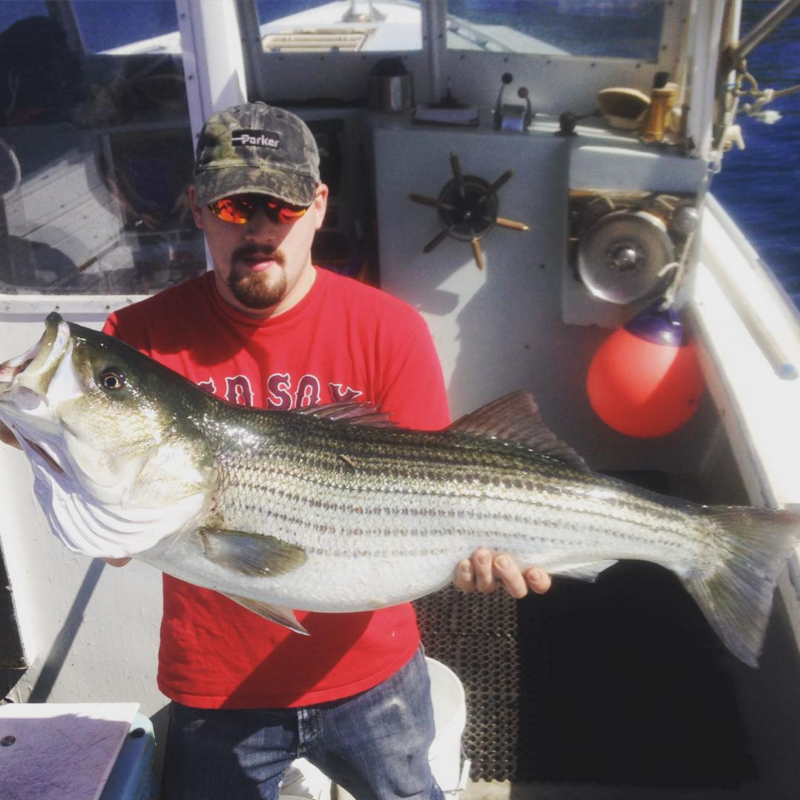 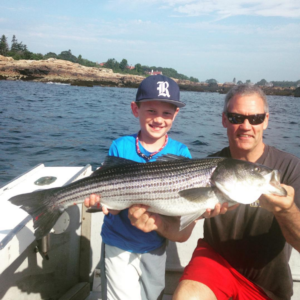 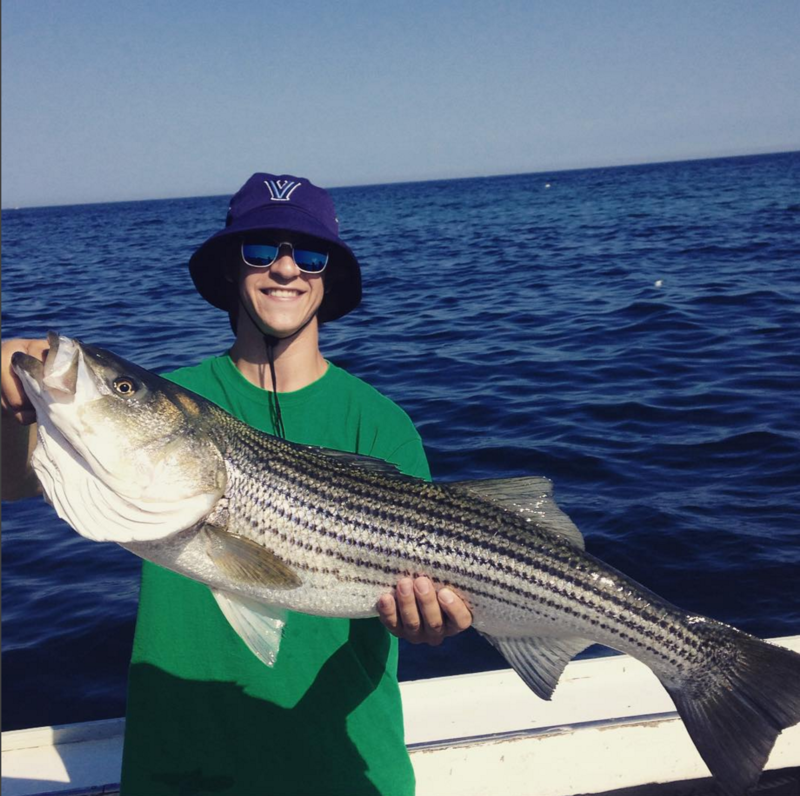 At the beginning of most striped bass fishing charters we will search for live bait. This is done by trolling or jigging mackerel rigs known as subikis. 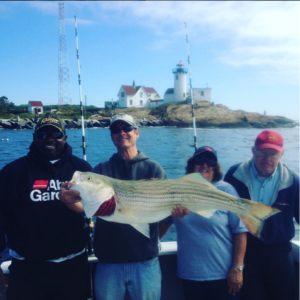 These fishing leaders consist of multiple hooks that shine and attract mackerel, herring, pollack or other baitfish. 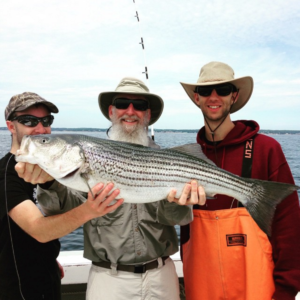 Once we are able to fill our live-well with live baits we head for the striper or blue fishing grounds. Live bait fishing provides a ton of excitement because while holding the rod you can sense when your bait is in distress. 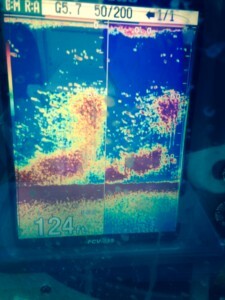 If you feel mackerel starts acting crazy theres a reason why. 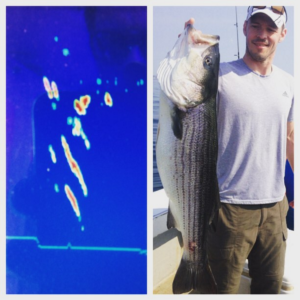 Keep your eyes on your line for surface strikes and get ready for a fight. Bluefish are one of the most exciting inshore fish to catch. They are known for their high speed strikes and razor sharp teeth. 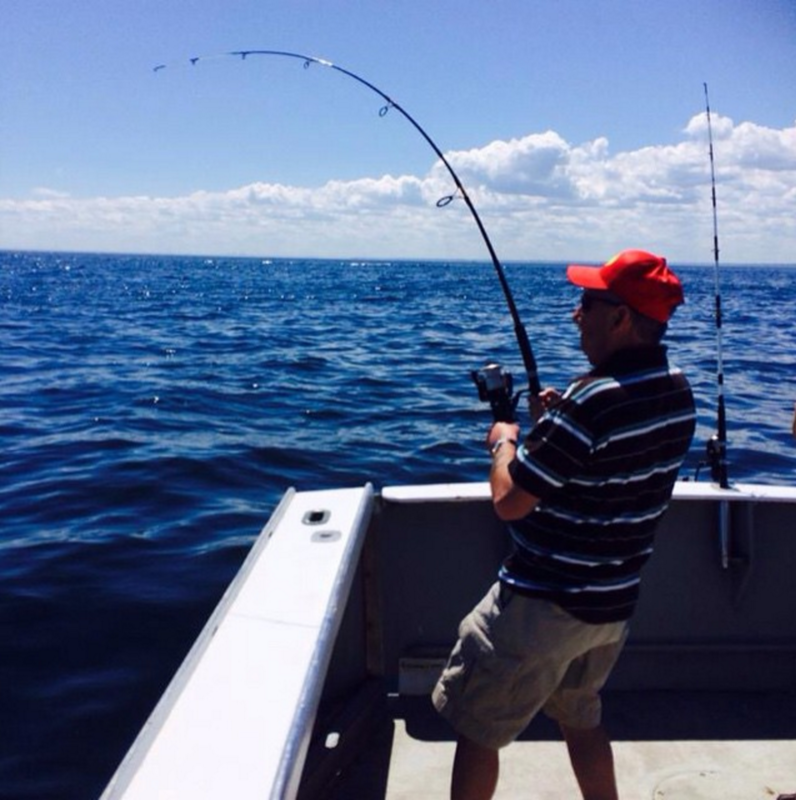 When fishing for bluefish we fish for use a wire leader to keep them from severing our lines. 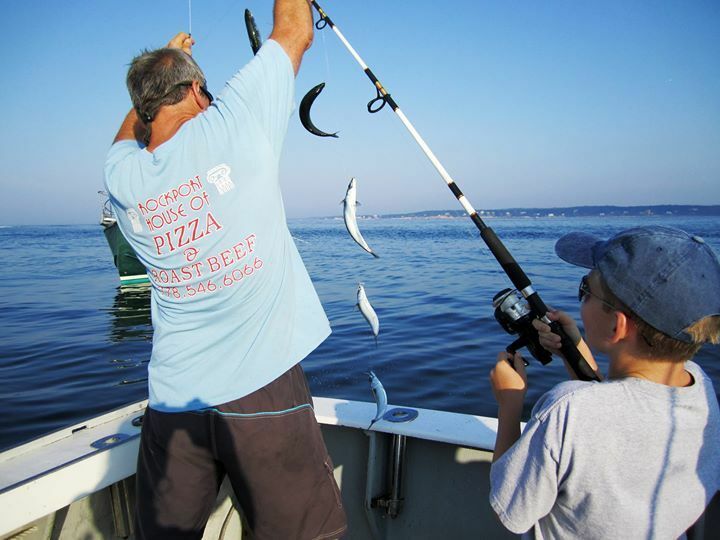 Bluefish tend to to arrive in Gloucester as the water warms up. We can fish for Bluefish with bait or trolling. 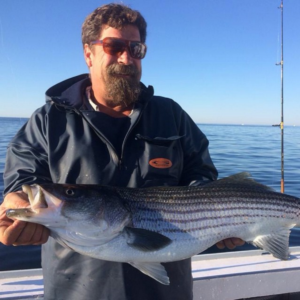 When we spot flocks of seagulls pushing schools of bait fish to the surface we know Bluefish are responsible. Every August the Lanesville Bluefish Tournament takes place and draws a number of people and fun. 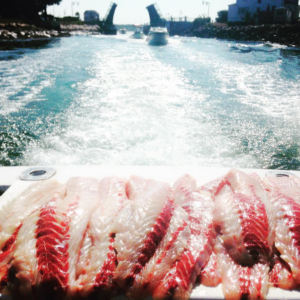 Charter the boat this year and try to win the pot! 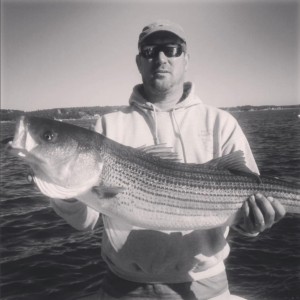 Striped Bass and Blue Fishing requires quality equipment. 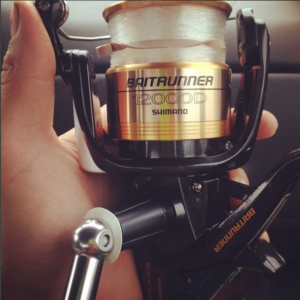 At Connemara Bay Fishing Charters we use all Shimano Bait Runner reels and custom rods. 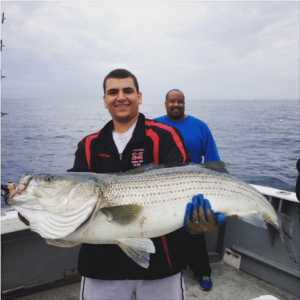 All the lines are spooled up with monofilament line and is constantly being stripped off and replaced to assure its at maximum strength. 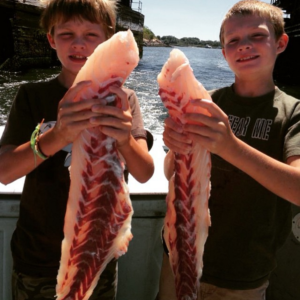 All equipment is also rinsed down with fresh water after each use and oiled. In the off season Surfland Bait and Tackle of Plum island meticulously goes through every reel and rebuilds them. We also fish long fluorocarbon leaders that are invisible to fish and barrel swivels to keep the line from twisting. A furuno fishing finder with a thru hull transducer is another key piece of equipment on the Connemara Bay as it allows us to locate baitfish, stripers/blues, and structure we set up to fish on. Who we make memories with Charter Fishing: Families, Bachelor Parties, Corporate Events, Corporate Team Building, and more! 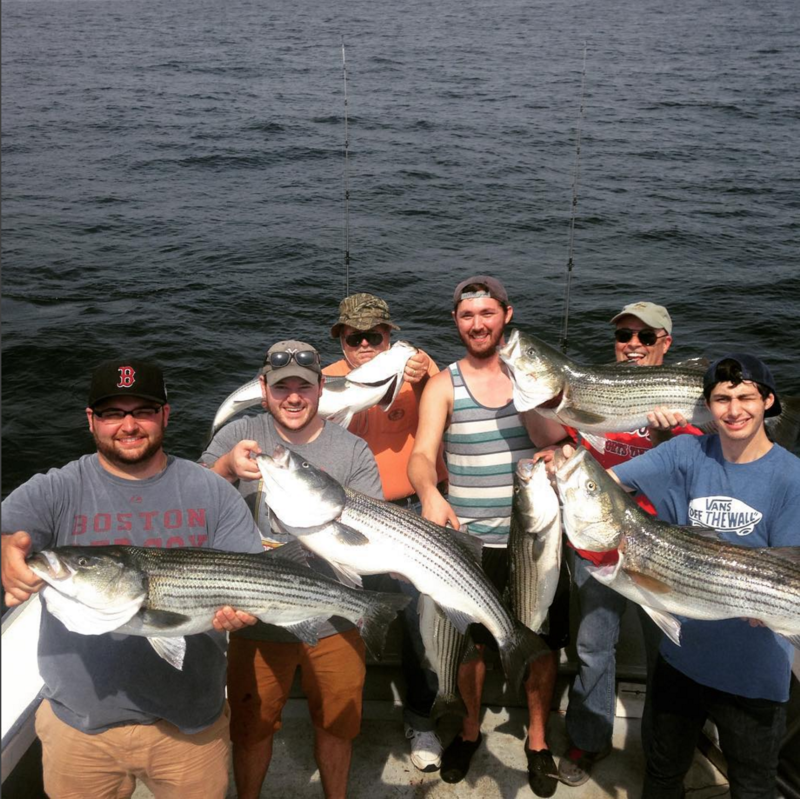 At Connemara Bay Fishing Charters we bring all groups out on the water. 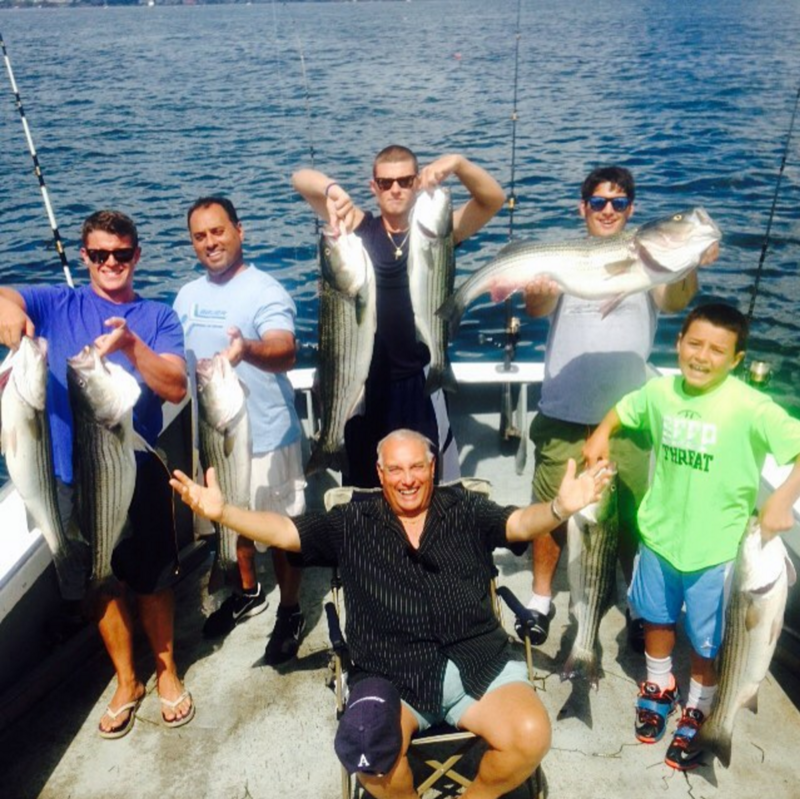 A lot of our trips are outings for families and friends. 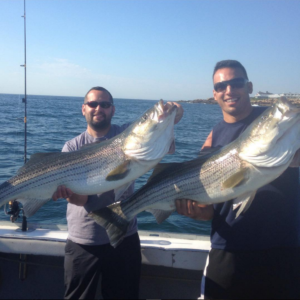 We also organize bachelor fishing parties and guys weekends. 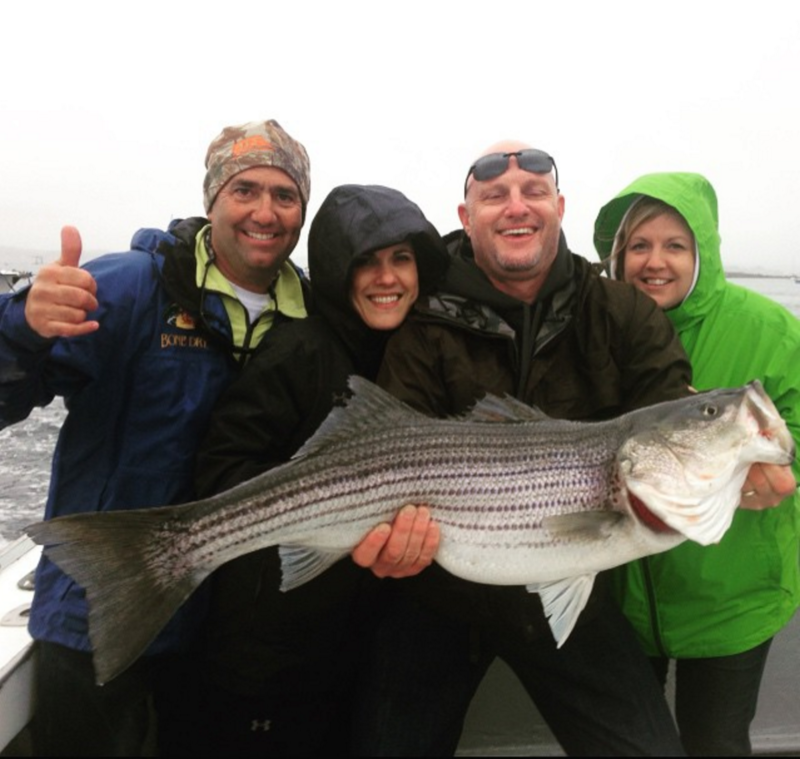 Corporate outings and team building activities have even brought passengers venturing aboard the Connemara Bay.